Arthur Clarence Pillsbury began his studies at Stanford University in 1892, in December of that same year He bought his first movie camera. The intended use of the camera was filming sports events, and Pillsbury used the camera to record the first Fraternity Rush at Stanford. Pillsbury started two businesses, a photography studio and bicycle shop, both of which were extremely successful. The profits were used to pay his college expenses. 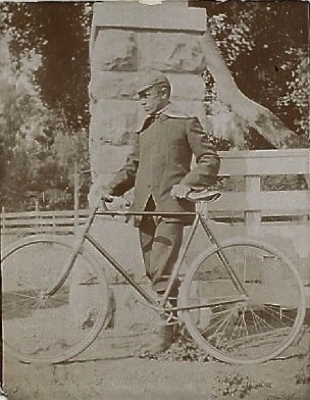 In May of 1895, Pillsbury and two other students, Bernard Lane, and Frank Watson, rode their bicycles to Yosemite. While there, Pillsbury's focus changed, causing his parents to become concerned. His direction was not what they had hoped for. 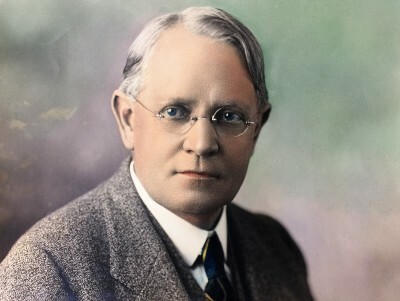 Instead of going into medicine Arthur C. Pillsbury was majoring in Mechanical Engineering. Even as a very young boy is interests were broad and varied. But after his journey to Yosemite many former interests ceased. For the remainder of his life PIllsbury directed his energies to awakening people around the world to understanding what we share with all life. The journey down into the Valley had exceeded all expectations. Nothing his mother’s friend had told him had adequately conveyed the scene his eyes had encountered. The beauty of the enclosing forest had overcome any awareness of exertion or the sweaty residue which had soaked his clothing. His new Rambler Cycle, 16 pounds in weight, had flown over the ruts and dust of the dirt road, ending with soaring cliffs and surging falls of water. The sight, described to him though it had been, still sent a thrill of awe through his entire body. It was exalting. Rolling to a stop after entering Yosemite Valley his eyes were drawn to the beauty of a meadow filled with wildflowers. Lowering his cycle to the ground he moved into the sea of beauty, echoing the countless rustles and touches of small plants. Standing waist-high in flowers he breathed in the blended scents of thousands of tiny blossoms, Pillsbury’s eyes took in the multitude of small flowers before him. The whole of arching cliffs and lush cradle of teeming life left him dazed. Slowly, slowly, he knelt, bringing his eyes close enough to see every detail of first one and then another of the perfect flowers, those which were tiny and those half the size of his hand, gently moving in the soft eddies of breeze. The rippling multitude of so many different wildflowers left him momentarily breathless, reeling with wonder. Together, these flowering plants, carrying out the steps necessary to their own survival, were a rainbow of colors held aloft by their stems and leaves, in every hue of green, a concert of life which engaged all of his senses. They seemed to be extending open arms, reaching toward the sky. Cautiously, Pillsbury reached out with one finger to touch the petal of a small white bell-like bloom, its small face arching toward the sun. At that moment he became conscious his eyes could not penetrate to what was beyond his human vision. Inside the flower, he knew, processes of nature were continuing as was true of his own body. Having grown up with two microscopes used by his parents in their medical practices, he knew this as scientific fact, but before had accepted natural limitations. This changed. He knew he could go further. Considering the technical problems presented, he realized plants and their flowers changed over the course of a day, week, lifetime. Living their lives in one place they still moved to accomplish what was needed to survive and the processes natural to them, invisible to his eyes, made this possible. Bending forward, the flowers engulfed him in the smell of perfumes poignant and subtle, filling him with the wish to see and understand these living things as he touched his finger to his nose and lip. Each so different. Each unique. Slowly sitting back, still balanced, he looked out into the towering range of stone, flowing with falls of water and the clouds overhead. In every direction human vision needed to be extended so everyone could see and understand the commonalities all life share. Rising from the soft earth Arthur Clarence Pillsbury realized his world and path through life had changed. Now, he had a mission. 12 December 3:1 - The Daily Palo Alto - ``Pillsbury `96 has a new movie making instrument for Saturday's game. They will be for sale at Encina Hall, on Thursday and Friday." 24 May, Friday - Palo Alto News - ``Next Wednesday, A.C. Pillsbury and Frank Watson, `95. Will leave for Yosemite and Kings River Valley on their wheels. They will carry with them their camping outfits, consisting of aluminum cooking utensils, 32 calibre rifle and shotgun combined, blanket, camera and fishing tackle, whole outfit weighing about ten pounds apiece. They expect to be gone about three weeks and anticipate a pleasant trip. Mr. Pillsbury will ride a 16 - pound rambler." 28 November - Palo Alto Times - ``An Ingenious Piece of Work"
``The machine is indeed ingenious and when it is considered that the whole work of designing and making the parts was done by Mr. Pillsbury at his own shop, it marks him as one with unusual mechanical ability."